Click here to visit the Purina cat chow facebook and like them. Then on the “Get A Free Sample” tab, click “Get Your Sample And Coupon.” Then just fill out the form on the next page to request your free samples. 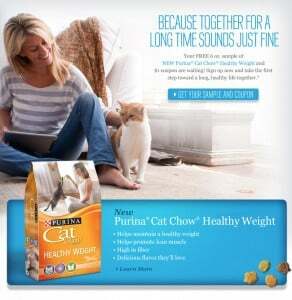 My cat and dog love Purina products so I am happy to get a little help with coupons for their favorites.